"The Jewish Museum is staging an original exhibition about Amy Winehouse, co-curated with her brother Alex and sister-in-law Riva. It is an intimate and moving exhibition about a much loved sister. The family have given the Jewish Museum unprecedented access to Amy's personal belongings that celebrate her passion for music, fashion, sudoku, Snoopy, London and her family. Amy was close to her family and had a strong sense of her Jewish roots and heritage. 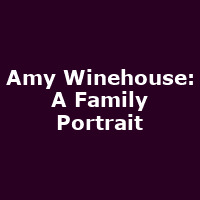 Among the various objects on display, the exhibition will show many unseen photographs of Amy's family life - Friday night dinners, Alex's Barmitzvah and vintage photographs of their beloved grandmother Cynthia."